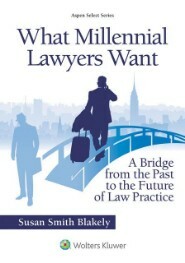 Today I choose to reprint information that you all need to know—young and older women lawyers alike. I typically do not do this, but this article is more than worthy of your attention, and I want you to have it all. 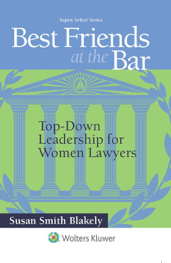 Gloria Steinem may no longer have much name recognition for the Gen Y group, but her influence on the rights and privileges that you enjoy today as young women professionals is very significant, and you should know about it. You do not have to agree with everything Ms. Steinem thinks or has written, but you do need to understand her place in the history of the women’s movement in this country. So, here is a reprint of an article from the Stanford University News as a preview to Ms. Steinem’s appearance at Stanford soon. I hope that you enjoy it and that it helps you remember where you have been in the quest to find out where you are going. If you area in the Bay Area, I hope that you have secured yourself a seat. This is history in the making. One of the most admired and loved leaders of second-wave feminism is coming to Stanford this week as part of the 40th anniversary celebration of Ms. magazine. Gloria Steinem reflects on the movement’s history and future. 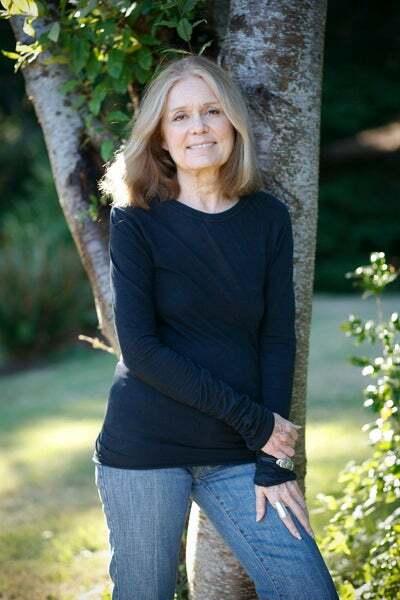 Courtesy of Ms. magazine Gloria Steinem will address a Stanford audience at a sold out event on Jan. 26. The event will be broadcast and streamed live by KZSU. The first issue of Ms. – which actually was a pre-issue, an insert in New York magazine – sold out. It also drew 20,000 letters. That was in 1972. Today, 40 years later, Gloria Steinem is still selling out the house. Tickets for her upcoming talk at Stanford were gone in less than five minutes. Springsteen should be so lucky. A year after that first issue, Ms. had 200,000 paid subscriptions, and more than 1,000 letters and hundreds of unsolicited manuscripts were arriving every week. Steinem was a co-founder of Ms., remained one of its editors for 15 years and still serves as a consulting editor. She writes, speaks, receives honors, agitates, organizes, produces films and generally makes the rest of the feminist community look – and feel – like defeatist couch potatoes. “We all owe her a debt,” said Stanford history Professor Estelle Freedman, co-founder of the university’s Feminist Studies Program. The world and the feminist movement are not what they were back in July 1972. The first issue clocked in at a fat 138 pages, with something for everyone: the arts, motherhood, fatherhood, “populist mechanics,” electoral politics (it was the year of McGovern), Wonder Woman, women’s history (Stanford history Professor Carl Degler was an early contributor), black women, poetry, lesbianism, sports, marriage, fiction, psychology and stories for children. The title of the new magazine was provocative and ended up ushering in a new word, a new way for women to think about themselves as individuals. 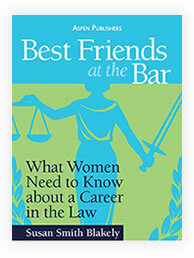 “We of course came up with many different titles,” Steinem said in an interview with Stanford Report last week. “We thought of Sojourner, in honor of Sojourner Truth, but that sounded like it was a travel magazine. Then we thought of Sisters, but that sounded too Catholic. “And then, I had seen, and others had too, secretarial handbooks from the 1950s that contained the word ‘Ms.’ for those disastrous circumstances when a secretary did not know if a woman was married or not. So someone suggested that, and we all thought it was perfect, because it’s an exact equivalent of Mister. The all-encompassing nature of Ms. magazine, all those pages, reflected the women’s movement’s early breadth, something that mysteriously has vanished from the history, Steinem said. The multiracial and economically diverse movement is today often depicted as white, middle-class and radical. “I learned feminism from the National Welfare Rights Organization,” Steinem remarked last week, thinking back to the early days. The NWRO, which existed from 1966 to 1975, largely comprised black women organizing around issues of democracy, income, dignity and justice. “I’d be traveling around the country, always lecturing with black women, and at the press conferences the reporters would ask me about the women’s movement, and they’d ask my speaking partner about the civil rights movement.” So the women would call the reporters on it and say, you can’t have one without the other. 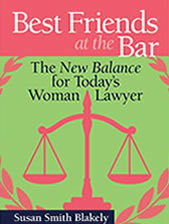 Steinem’s frequent better half in those years was the remarkable Flo Kennedy, the first black woman to graduate from Columbia Law School, a tireless activist for civil rights and the women’s movement, and founder of the Feminist Party. They called themselves Topsy and Little Eva, after the young black slave and the young white woman in Uncle Tom’s Cabin. In the wake of the Arab Spring and the Occupy movement, it might strike students today as remarkable that a new, ambitious and sweeping social movement chose to publish 138 pages of paper rather than a blog or a Tweet or a Facebook post. A panel discussion at Stanford this week about the history of Ms. will feature former editors from the land of paper and current young feminist bloggers. Websites that Steinem particularly likes include those of Occupy Patriarchy and the Women’s Media Center, the latter co-founded by former Ms. editor and well-known feminist Robin Morgan. Ms. reflected an urgency, commitment and excitement that Steinem retains today and which she often finds herself sharing with young women who could be her granddaughters. “I say, ‘By now we all know that women can do what men can do, but it’s not the other way around. No, you can’t do it all – so get mad.’ Why are we the only modern country without proper child care or health care? In some ways, 40 years ago seems light years away, so students’ complacency is understandable. Those were the days, after all, when a married woman often could not apply for a credit card without her husband’s permission. As Steinem said, in general, at least in theory, today we all know that women can do what men can do. Until they can’t. And often, they still can’t. And yet, there are some who say we’ve moved beyond the need for feminism. “It’s obstructionism to declare the movement over,” she said, just as it makes no sense to declare we are in a post-racial society now that we have a black president. So should young women today be agitating in favor of better health care? Child care? Salary equity? Democratic candidates? “I try to say there’s no such thing as should,” Steinem said. “I want, I love, I think, I care – but not I should. Steinem does not lack for examples of effective mobilization. Others may be discouraged, but not her, even if she does get pissed off and throw her shoes now and again. “In some ways, we were a dozen crazy people, but now there are thousands,” she said. Take, for example, Ai-Jen Poo, who founded the National Domestic Workers Alliance, made up largely of poor immigrant women. She successfully fought for legislation protecting domestic workers and has received wide recognition and many honors, including the Woman of Vision Award from the Ms. Foundation for Women. Steinem’s keynote speech at 7:30 p.m. on Jan. 26 is sold out, but it will be broadcast live on KZSU 90.1 FM and streamed at kzsulive.stanford.edu. The “Ms. at 40 and the Future of Feminism” series, which includes film screenings, lectures, performances and exhibits, runs throughout winter quarter.